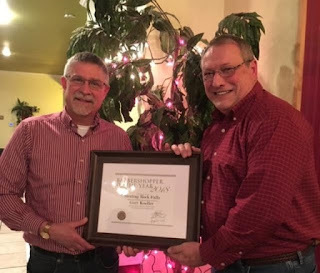 The 2019 Officer Installation Banquet was held on Sunday January 13, 2019 at Pinecricker Café in Polo, IL. The evening began with a delicious buffet meal followed by the installation of the officers and directors for the chapter. The 2018 Barbershopper of the year award was presented in the photo below to Gary Koeller (left) by Monty Cotter (right) for his outstanding contributions to the preservation and encouragement of barbershop harmony. 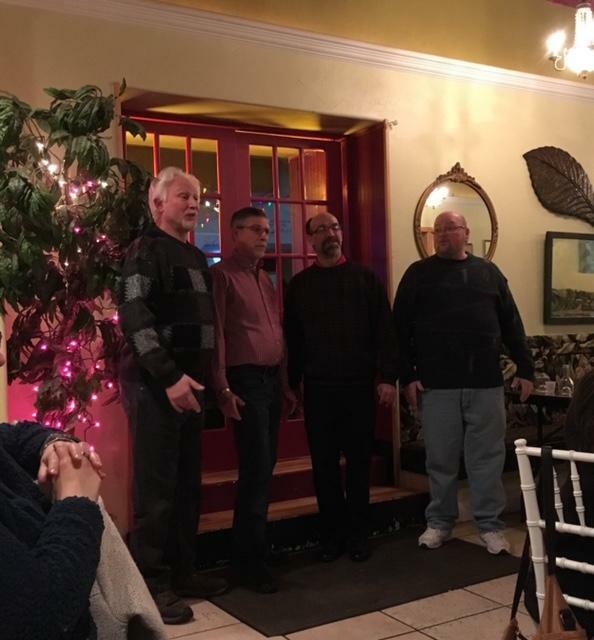 Spontaneous Combustion: pictured left to right are Tim Pashon, Kevin Deets, Kevin O’Keefe, Jason Brown.